The Ford Explorer changed the way that SUVs were introduced to the public and many owners bought them for the 4×4 power. The Explorer is one of the most famous Ford products that have been produced in the last 25 years. One of the great things about Explorer parts is that many are still available on the secondary market. 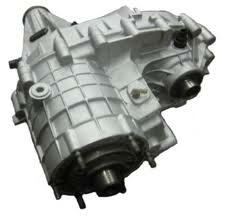 We sell remanufactured Ford Explorer transfer cases at prices that are lower than what you’ve seen online. Our secret is due partly in how we buy our cases. We have partnerships with some of the best distributors in the world and we also buy straight from Ford dealerships. The problem with most used power train parts is that you cannot verify if they are in good condition or not. A used part generally has high mileage and is not a suitable replacement to control your transmission. Each low mileage transfer case that we find is brought into our shop for the rebuild. What you end up with when we are finished rebuilding is a completely functional power train part that will work like new. Much of what you can find from salvage dealers has not been checked for accuracy or rebuilt. We have opened our company up to selling to these companies and making the best Explorer power train parts available. We have few requests for warranties. Why? It is all in the quality of our rebuild. Controlling your gears by manual or electronic device can only be done with components that are capable. During our rebuild, we skillfully prepare each transfer case according to the specs laid out by Ford. We certify each rebuild and guarantee that it will be just as good as purchasing a new transfer case just without the price. We have built a huge network of happy customers throughout the United States and Canada. Buying a used transfer case online will make you think twice about the quality once you’ve witnessed what we offer in remanufactured ones. After each rebuild, the next phase of our plan is the testing. We know that a transfer case is only function if it is tested and proven. We test for accuracy and performance to give you the assurance that what you are buying is legitimate. Each Explorer power train component that we test is accurate and ready for a fast installation. You won’t find yourself waiting around for our products to arrive. We process orders quickly after the sale and ensure guaranteed delivery and satisfaction. Stop buying used transfer cases from auction websites and get a quality product. Delivering our price quote takes under a minute. It’s really fast. Use our Explorer quote form or call us toll free at (888)-508-7153 . We take all the time that is necessary to help you and answer any question or concern that you have. You are buying a completely remanufactured Ford transfer case at a price that is really, really low compared with other online dealers. You don’t have to waste time or money. You have a source that cares about what you put in your Ford Explorer. Try us out.